Unit #327 has been totally renovated within the last 12 months. Sandy Shores II 327 is a two-bedroom, one-bath second-row condo located 0.8 miles north of the Garden City Pier. This condo features a fully-equipped kitchen complete with dishwasher and microwave, as well as a private balcony, washer, dryer, central heat and air conditioning, and ceiling fans. A Smart TV and Wi-Fi is also provided. Sleeping accommodations include one queen, one double, and two twin-sized beds. Common area features a full-sized swimming pool, outdoor shower, and professionally landscaped grounds. 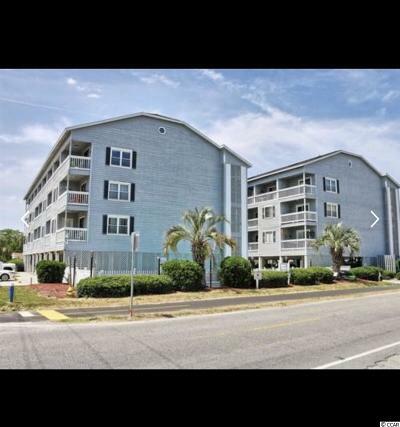 This is an ocean view complex located across the street from the beach. Limit one parking pass per unit. Elevator. Trailers and golf carts are not permitted at this property. Maximum occupancy: 6 Conveniently located close to some of the best area attractions, Garden City Beach is directly south of Surfside Beach and ends on a peninsula at the mouth of Murrells Inlet. One of the most renowned attractions in Garden City Beach is the Pier at Garden City. Other attractions include Marlin Quay Marina, Gulf Stream Cafe, Original Sam's Corner, and Sara J's Seafood Restaurant. Just south of Garden City Beach is Murrells Inlet, a seaside community that is considered to be the Seafood Capital of South Carolina, but is also home to some of the nation's best golf courses. Once primarily a fishing village, the town is best known for the Murrells Inlet MarshWalk, a half-mile long boardwalk overlooking a pristine salt marsh, and the many award-winning seafood and barbecue restaurants along Highway 17 Business in the central business district.